From a heart-shaped doughnut pegboard to cake pops that look like mini-tuxedoes, Marisa Battaglia has made a career out of turning people’s wildest ideas into sweet Pinterest-worthy dessert tables. 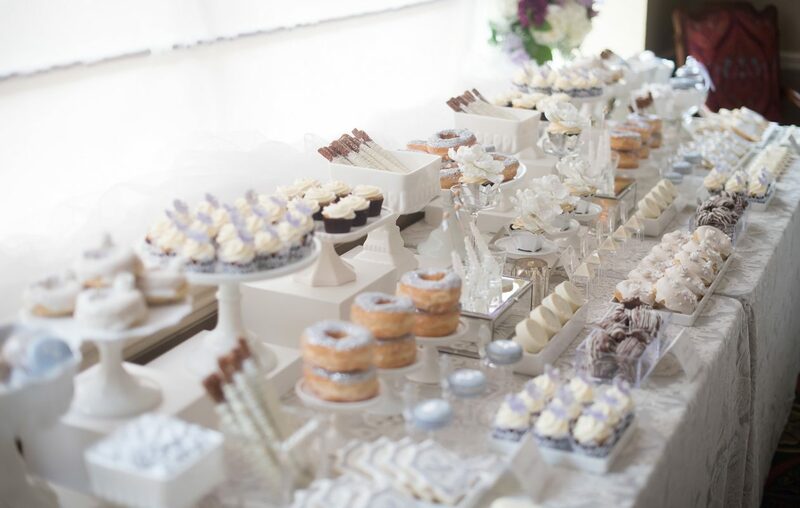 As owner and creative director of B Sweet Designs, she creates custom dessert tables for weddings and special events, paying attention to each detail—customized desserts, eye-catching displays, plus all logistics (setup, cleanup). Battaglia sources from all local vendors, from candy purchases to baked treats. She’s developed relationships with local bakers where she can collaborate with them to come up with new sweet treats to add to her event repertoire. If a couple loves cannoli and their wedding color is blush, the bakers create cannoli with blush-colored filling. If a bride wants glazed cake donuts, the bakers add sugar flowers, gold leaves and fancy sprinkles. That’s why Battaglia doesn’t have a list of desserts for her clients to choose from—she wants to give them exactly what they want and get creative with it. Paula’s is quickly becoming a staple at weddings, even sometimes replacing cake completely. In addition to their ever-popular standard lineup and custom, massive Texas donuts—fit for a donut dessert spread—they also offer mini-boxes that fit two donut holes, perfect for favors. Paula’s will even customize donuts (and boxes) for you with your wedding colors using frosting, sprinkles and any edible decorations you bring in that you want included.